You might encounter a time in your life wherein you suffer from nasal congestion, runny nose, nose and eye itching, sneezing, and excess tear production. If you feel bothered by all of these symptoms because you don’t know just how or when these symptoms started, you should not feel threatened because you are not alone in this world. In fact, 30% of all Americans, children and adult alike, are currently suffering from this disease known as the hay fever. Hay fever is actually a misnomer because it is not a fever nor is it caused by hay. The term may have actually been derived from earlier symptoms shown by farmers harvesting the field. The most accurate term to call hay fever is Allergic rhinitis, because it is caused by many different substances that trigger most allergic reactions. The term rhinitis literally means “irritation of the nose,” as the symptoms of hay fever are associated with nasal conditions. There are general conditions associated with hay fever. The most common would be excessive eye-tear production, nose and eye itching and nasal congestions. There are cases wherein there is the occurrence of post-nasal dripping of clear mucus that is associated with cough. 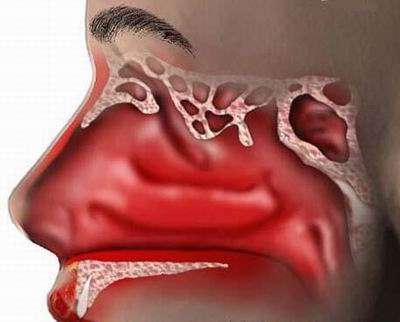 When you are suffering from hay fever, the loss of the sense of smell is common. There may also be times that you may lose the sense of tastes, but this happens only occasionally. And if the condition is too severe, you may experience nose bleeding. Although hay fever, per se, is not a fatal disease, it can ruin your perfectly-balanced health and quality of life. Aside from these disturbing symptoms, hay fever can actually lead to other diseases such as asthma and sinusitis. People who are suffering from hay fever will have a difficult time coping up with the demands of their social and physical activities. Generally, people with hay fever have a hard time concentrating on other activities, with can lead to a poor performance in either his/her academics or work activities. As said before, hay fever is the result of a series of allergic reactions, so there are really no specific causes of hay fever. The general rule about allergy is that any person can acquire it if he/she is rightly exposed to it. But for all practical purposes, most professionals can attest to the development of hay fever as caused by proteins. The common situation is that hay fever is caused by the continuous exposure of a person to proteins found in plants. Weeds, trees and grasses are actually producers of very small, dry and light protein particles called pollen. The pollen particles are spread by the wind and are consequently inhaled by people. The pollen stays in the nasal lining tissues and to other parts of the body’s respiratory tracts and then initiates the allergic response. For people who are diagnosed with hay fever, you can always seek medications from professionals. It is important to immediately treat hay fever on the initial onset so as to prevent it from further developing into more serious diseases.